The ‘De Woonplaats’ housing corporation has moved into a new head office. One crucial element of this relocation was that an advanced building security control system had to be installed in the premises. Moekotte was given the task of advising the company with regard to this system, as well as to install and commission the system. The task involved even more than this however: De Woonplaats also requested that training be provided for the users and administrators. 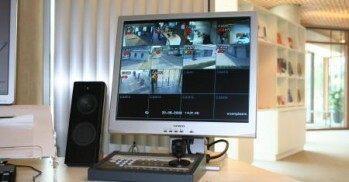 The advanced building security control system centred on a multifaceted control station. Moekotte designed this with two objectives in mind, namely the production of a bespoke system that offered a broad range of functions: • Management of the admission pass access control system • Monitoring of intrusion alarms, follow-ups to alarms and aggression detection. In addition to this, an intercom system was supplied and installed, in which the main entrance intercom was linked to the switchboard. 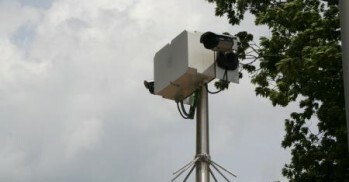 Moekotte proved to be the right choice, because the most essential objective of the CCTV for De Woonplaats was achieved: the protection of persons within a (public) area. The properties of De Woonplaats are now also under constant camera surveillance. The De Woonplaats housing corporation was fully satisfied with the entire project. This project enabled Moekotte to fully utilise its extensive expertise in the field of camera surveillance, identification, observation and registration systems.